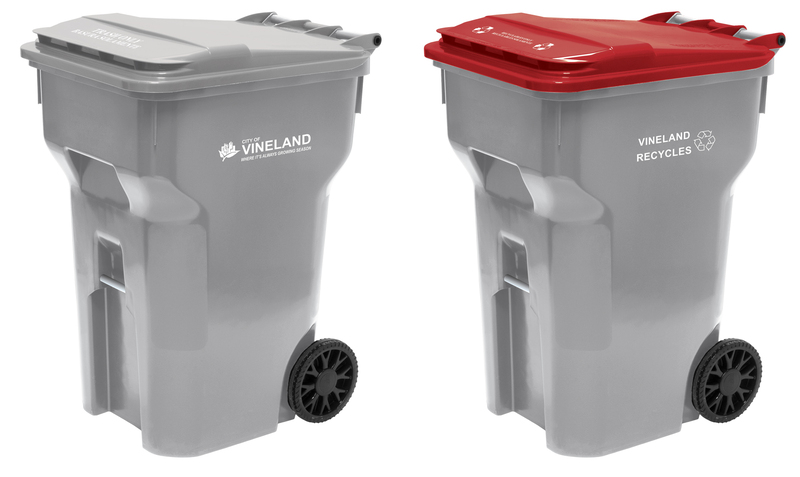 Vineland, say hello to your new recycling and trash carts! Please do not begin using the new carts until January 2019. Your home is receiving these shiny new carts thanks to an important relationship between the City of Vineland and The Recycling Partnership, a nonprofit organization utilizing public-private partnerships to transform recycling all across America. Vineland was selected to receive grant support because of the City of Vineland and Cumberland County Improvement Authority’s longstanding dedication to advancing recycling in the community. Following is information that will help prepare you for the transition. Anyone with questions can call the Recycling Department at 856-794-4089.